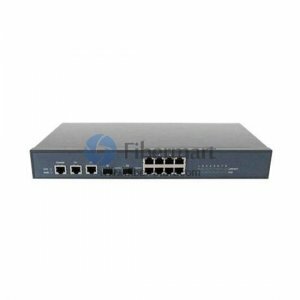 Fiber-Mart’s PoE switch is a Power over Ethernet Switch, fully satisfied equipment’s frequently need to be powered in physical locations where mains power is not available or difficult to deliver. With data and power over Ethernet, the PoE switch is able to reduce cable installation and eliminate the need for electrical outlets on the wall, ceiling or any unreachable place. Energy saving is the key feature of the use of PoE in the deployment. PoE switch provides a compact, affordable, safe and reliable power solution for small to medium enterprises.